All of our freeze-dried, grain-free meat treats are a healthy snack for both dogs and cats. 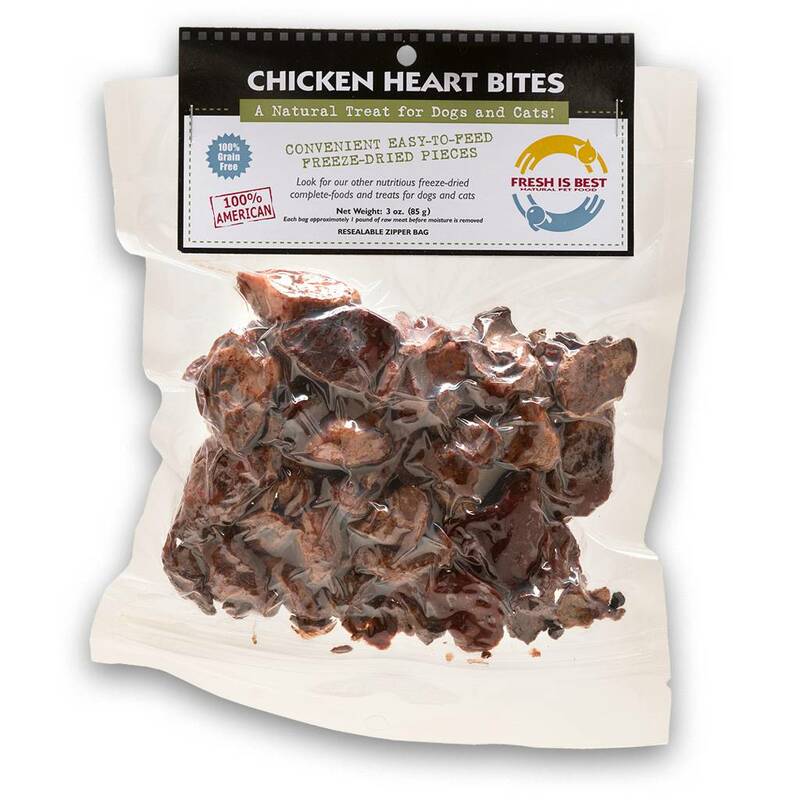 Made from the same human-quality, USDA meats as our pet foods, these treats possess the nutrition and flavor of raw meat, yet there's no need for refrigeration. Keep in sealed bag and in a cool, dry, dark place. These convenient easy to feed pieces can be used dry as a training treat or a between-meals snack. They can be reconstituted by soaking in a dish of tepid water and use as a savory meal topper and because they are simply raw meat, they can also be used as a meal replacement when boarding or traveling.